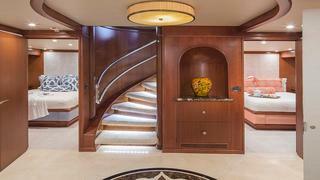 Built by Heesen in 1990, AT LAST is a tri-deck motor yacht that has benefitted from numerous refits, including her most recent refit in 2014, which rendered her interior in like-new condition. 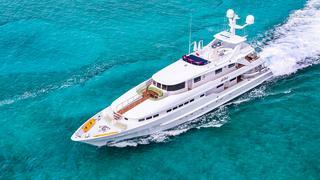 She has a superb charter record and is well suited to continue her stellar charter status. 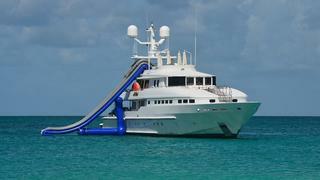 Relaxation on board AT LAST is eminent. 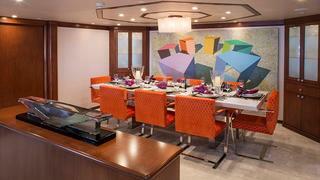 She boasts exquisite interior styling by the renowned Tui Pranich. 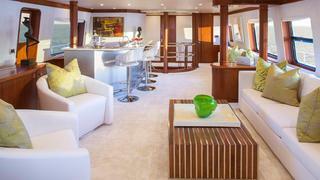 The spacious, bright ambiance exudes an at-home atmosphere from the moment you step aboard. 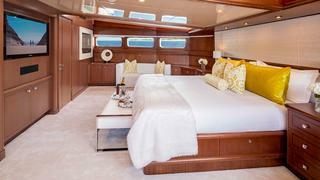 She is the personification of comfortable sophistication, and is a private sanctuary. 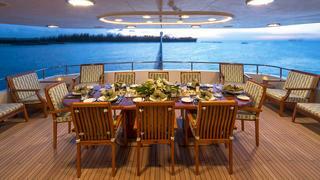 Eleven guests are easily accommodated on board in five resplendent staterooms. 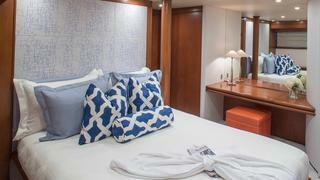 Located forward on the main deck, her chic full-beam master stateroom offers panoramic views from the king-size bed. It is exceptionally private. 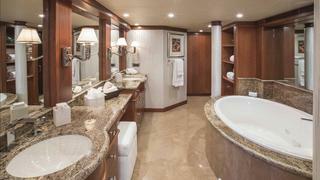 It also offers a beautiful en-suite master bathroom with a rain shower and Jacuzzi tub. Supplementary guest accommodations include king and queen staterooms and a twin with a Pullman. 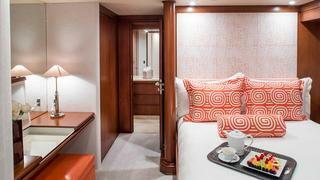 All staterooms feature large portholes, offering abundant natural light, and have modern-style en-suite bathrooms. 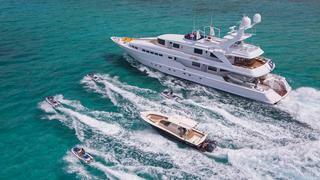 The accommodation configuration easily lends itself to a charter program or large family. 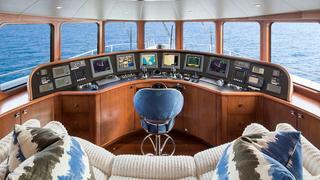 AT LAST’s on-deck arrangement allows for uncluttered spaces as her 18’ Novurania tender and toys are stored on the main deck aft — this assuages noise or commotion when readying these items for use. 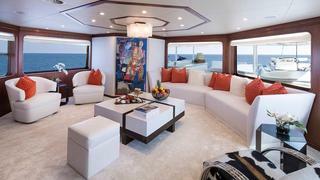 Thanks to this layout, the sundeck has no obstructions, such as cranes, and offers copious places to soak up the sun, including a large full-beam sunpad forward with two umbrellas for shade and a sunpad aft that flanks the large Jacuzzi. 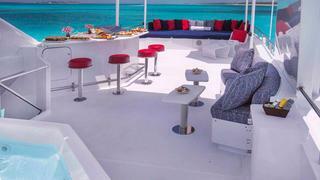 The sundeck also has a small dining table, a large bar with seating and a barbecue. Not only is AT LAST stylish and comfortable, she also is powerful thanks to her MTU engines, which were installed in 2009. 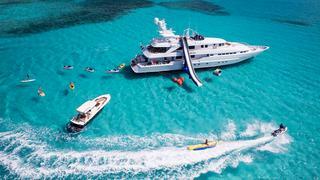 She also has Kamewa waterjets which provide her a very shallow draft, allowing her to anchor in The Bahamas and visit locations often inaccessible by other yachts of similar size.